Brooklyn is the most populous borough in New York City and there is plenty to see and do to keep you entertained for days, yet a surprising amount of people make the mistake of not even wandering outside of Manhattan. Don’t be that way. We have compiled a short guide around Brooklyn and places you would be sorry to miss. When crossing the East River on either Brooklyn or Manhattan bridge, you’ll reach DUMBO (Down Under the Manhattan Bridge Overpass), which is the neighbourhood neatly tucked in the area between both bridges. 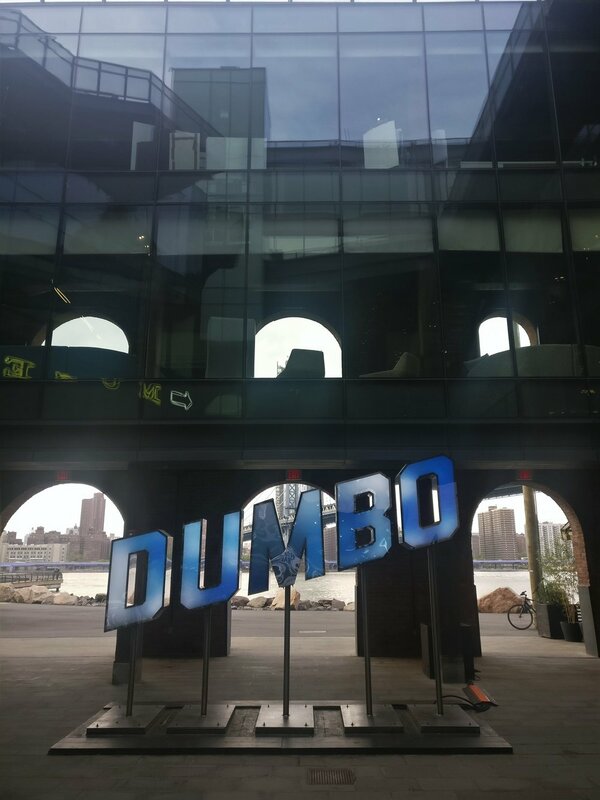 DUMBO is filled with boutique shops, galleries and nice restaurants in re-purposed warehouse buildings, as well as the lush green Brooklyn Bridge Park at the waterfront. Since you’re officially in Brooklyn now, you might feel in the mood for a glass of Brooklyn Lager. There are plenty of options, but we were on a look out for a low key place that looked like locals would frequent and we stumbled upon 68 Jay Street Bar, which is just that including friendly prices. You might want to catch another glimpse of the iconic Brooklyn Bridge and the NYC skyline at sunset. Brooklyn Bridge is famous not only because of its distinct look. In 1883, at the time of its completion, it was the world’s first steel wire suspension bridge as well as the longest bridge in the world for the coming 20 years. If you fancy a bite but don’t want to settle on one cuisine, you can pretty much have a bit of everything at Dekalb Market Hall. Its 40 vendors are representative of the cultural and ethnic diversity of Brooklyn. You can get everything from classic New York bagels, tacos, crepes to doner kebabs and pierogi. Heading towards Prospect Park, you must visit the Brooklyn Museum and the adjacent Brooklyn Botanic Garden. The Brooklyn Museum houses a huge art collection and is the third largest gallery in NYC. There’s an impressive collection of Ancient Egyptian antiquities as well as a heavy representation of American art. Our favourite part of the museum was Elizabeth A. Sackler Center for Feminist Art, which is located on the 4th floor. 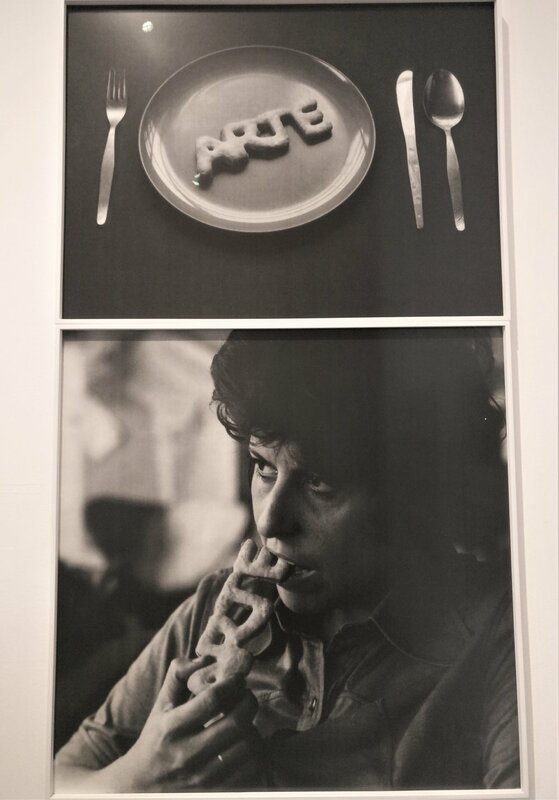 It’s the permanent home of Judy Chicago's epic work The Dinner Party, as well as other exhibitions dedicated to feminist art and global history of the movement. The Bushwick Collective is New York’s street art and graffiti central. If you are in the know, you will spot work from local as well as some international artists. You can literally spend hours exploring the neighbourhood and checking out the murals, so might as well stop by for a drink at one one the many of the great dive bars in the area, such as Hard Times Christmas Liquors at the Sunset Bar. It has cheap beer, cheerful vibe and great tunes, plus some vegan options on the menu. If you are looking for some live music, head to Elsewhere. They put on a really diverse range of excellent artists. Just to illustrate that point, we went to see the New York’s own rapper Princess Nokia and a few days later they were hosting Texas thrash metallers Power Trip. Greenpoint is known as a smorgasbord of Eastern European culture and cuisine. Indeed, you will hear a lot of Polish spoken on the streets and a range of restaurants and shops filled with delicious goodies from Eastern Europe. Drawing in a young and hip crowd, Williamsburg, is one of the most popular neighbourhoods in Brooklyn. It surely lives up to its reputation of hipster chic coffee shops, boutique stores and bars. Get your hands on some vinyl at Rough Trade NYC. It’s their largest store and you can spend a good time picking out records and books or grab a cup of coffee at Brompton Bicycle Cafe and catch a live gig. This is also where the famous Brooklyn Brewery is located so make sure to visit their taproom or do the tour and see what’s behind the beer. Don’t leave Brooklyn without making the trip to the southernmost part of it - Coney Island. We happened to be there on a very gloomy and rainy day so we didn’t get to have fun on any of the rides in the Luna Park but there is still plenty to see. Walk along the pier and visit the Coney Art Walls. The neighbourhood next to Coney Island, Brighton Beach, also known as ‘Little Odessa’ is an enclave for Russian and Ukrainian speaking communities and people from other former USSR bloc countries. You will see that reflected in shop displays, restaurants and bars. You will not find anything like it in the rest of the city and for a second you might even forget that you are still in New York.